Many of you might be knowing that I am a MIUI theme-maker. Besides, I also translate Chinese MIUI themes to English so that the non-Chinese MIUI ROM users can enjoy those themes without the awkward Chinese on their Android phones. It has just been a few weeks since I replaced my Samsung Galaxy S2 with the Galaxy S3. My first move after getting the new device was to root it and install the latest MIUI ROM from MIUI Android. At first I guessed there might be some problem with the ROM.zip file itself. So I extracted the ROM file to ensure that the zip was not corrupted. It was fine. Anyways, I re-downloaded the MIUI ROM, this time from miui.us. Tried to flash it and again the same error message. 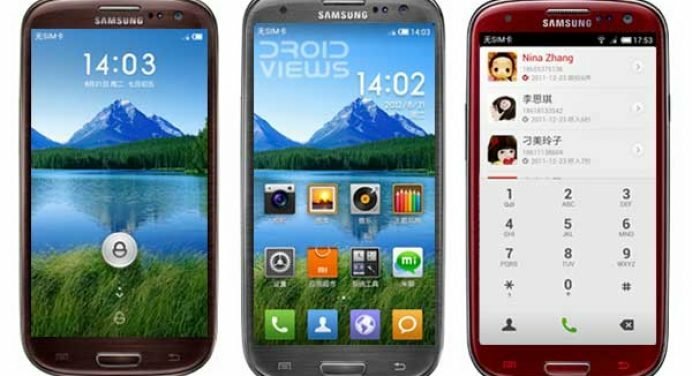 Then I downloaded another MIUI ROM version for the Galaxy S3 developed by an individual developer and was able to install it successfully. But I was not happy because it was not based on the latest version of the MIUI ROM, nor was it updated regularly. I followed his instruction as an obedient schoolboy obeys his teacher, hoping that it will finally solve my problem. But nothing good turned out of the toil and I got the same error. Quite desperate to install MIUI on my SGS3, I tried to update the CWM Recovery via ROM Manager app and tried different versions. Finally, having scorched my head for hours, I decided to re-root my phone. I did that and tried once more to install MIUI. To my surprise, I got success in the job. I, therefore, thought of sharing this tip with all other fellow SGS3 owners who are getting the same error while installing MIUI on their phones. You might be using a different phone from a different manufacturer but the solution applies to you too. And that is, update your custom recovery, preferably install the latest one and try to install the ROM again. It should install without giving any error. Here you go: This is caused by the activation of root permission in your miui. Go to recovery>advanced>fix permission, and you are free to install the OTA zip. You can’t flash miui with touch recovery. With older cwm recovery there us no problem. You can have older cwm or newer example by flashing foxhound’s rom which uses aroma installer, which let you choose to flash old or new recovery. In my case it was not the touch recovery at the first attempt. At the second, it was. Then I tried with other versions too. Finally got the cwm recovery from Chainfire’s site, flashed it and it was fixed.